Queensland-based specialist heavy vehicle manufacturer Mills-Tui Australia has gone into liquidation. Following a meeting of company members on September 18, it was resolved to wind up the Narangba business, appointing William John Fletcher and Tracy Lee Knight as liquidators. It was a sad end to a manufacturer that had dabbled in new bus design concepts as recently as 2011 with its ‘revolutionary’ Urban Edge citybus. 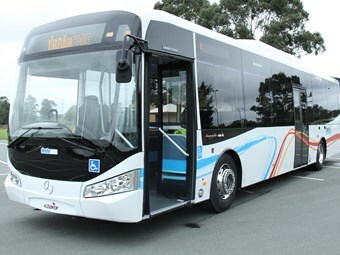 Mills-Tui’s two main bus offerings in recent years, the Urban Edge and the Orbit school bus, recorded low volumes into 2013, with no official bus builds recorded in 2014, appearing to have struggled to compete with a coinciding influx of Asian product into the Australian market. Although the business had moved towards building fire truck bodies and as a contractor to military applications, Mills-Tui had continued to work closely with the bus industry, in particular with chassis suppliers Mercedes-Benz and Hino. A reported 80 staff have been made redundant as a result of the liquidation. Mills-Tui Australia officially moved into liquidation on September 19, with company representatives and liquidators declining to provide further comment.